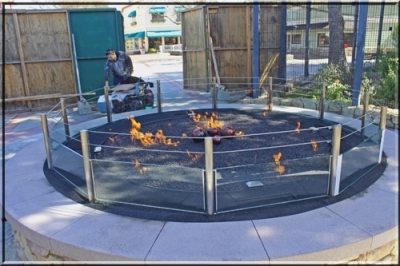 Fireglass fire pits propane or natural gas. 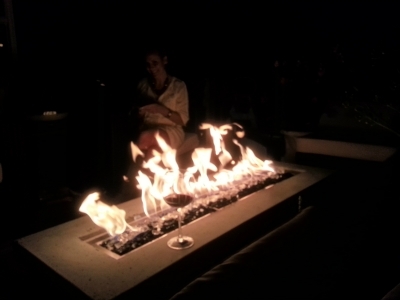 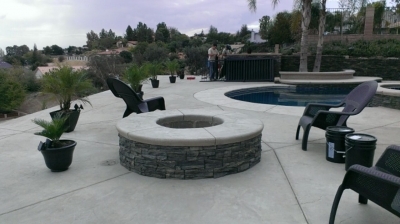 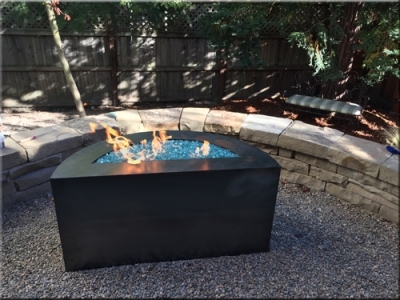 We worked with Wade Owen on his DIY fire pit project providing not only guidance but the necessary parts to make his hillside patio fire pit a reality. 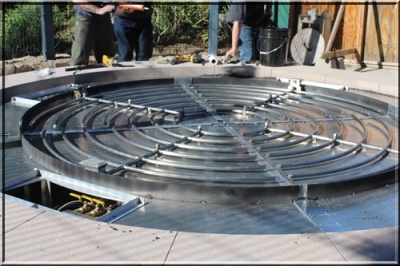 A 36" diameter opening will provide plenty of fire. 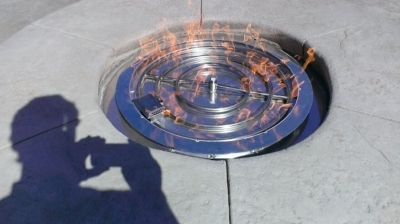 Natural gas is fed from the house and is prepared for its electronic connection and burner. 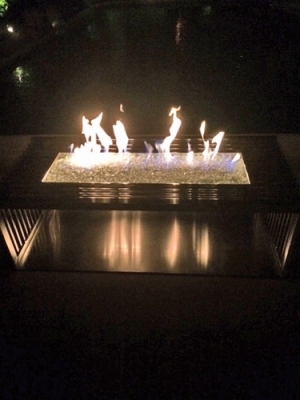 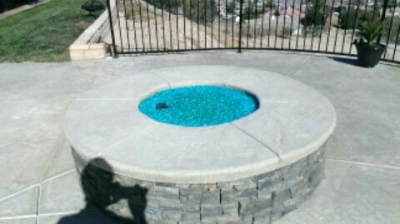 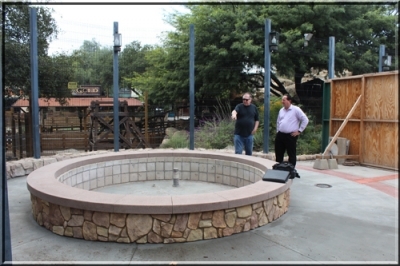 The fire pit is completed with pan, HWI/Hot Wire Ignition, a 60" lead and some 1/4" Azurlite Base Glass. 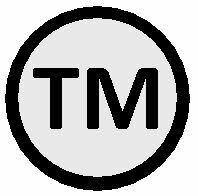 If your interested in an electronic ignition system have pictures, sketches, drawing and your spec's ready and Email us directly, as this is not available on-line. 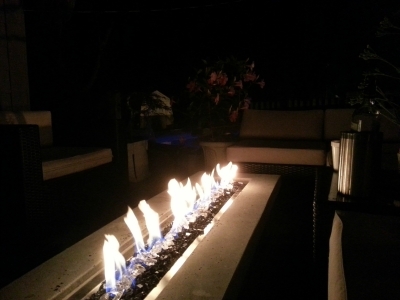 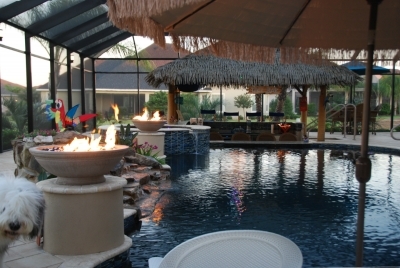 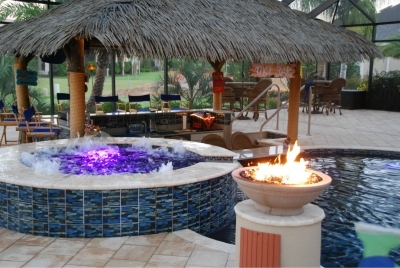 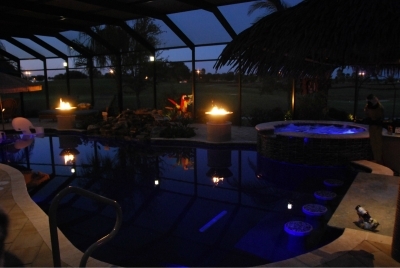 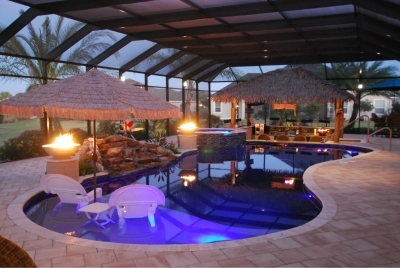 We helped John take his beautiful enclosed pool-room to the next level with a set of propane custom fire bowls. 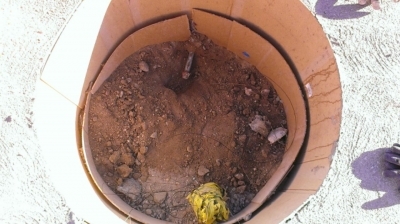 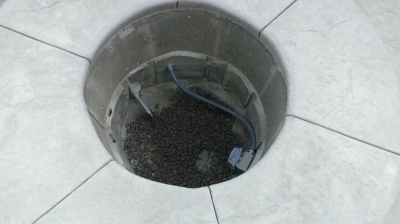 Though we didn't construct the bowls and their bases, we did assist John in understanding how to discretely install the tanks into the bases; and of course on how to install our custom propane systems. 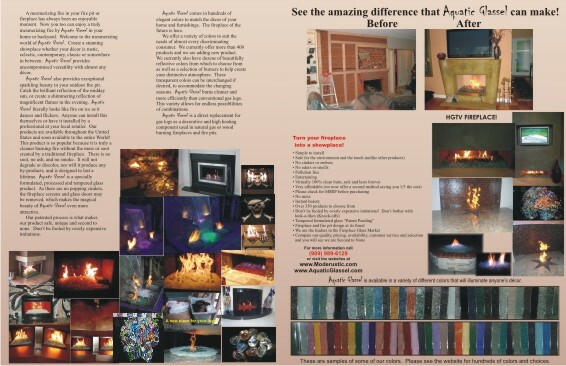 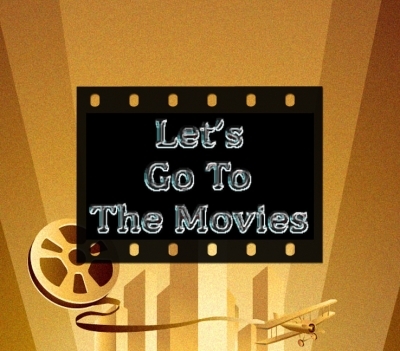 Turned out great, but see for yourself. 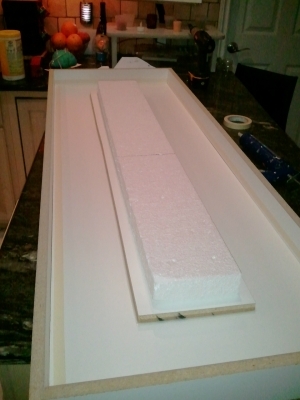 The first picture below shows the mold of the concrete table top, with the Styrofoam signifying were the fire area will be. 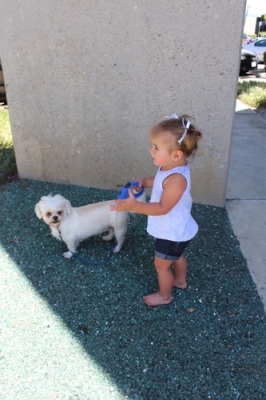 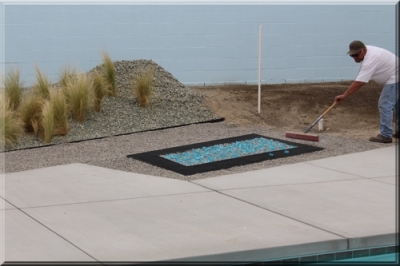 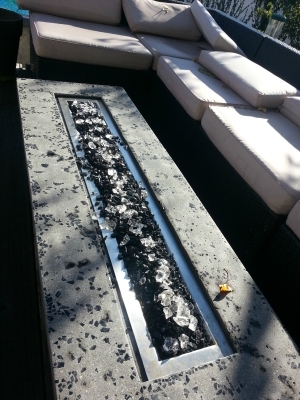 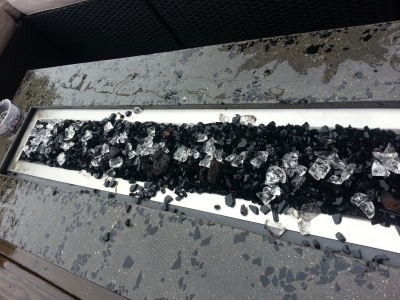 You'll note that our client Joel actually used some of our Super Black Base Glass in the concrete mix. 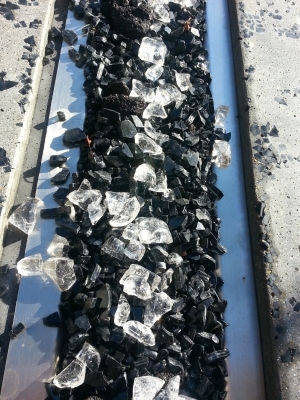 He finished off the fire pit area with some of our ICE ICE ICE Topper and of course lots of of Super Black Base Glass Fireglass. 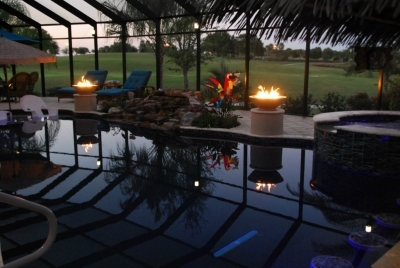 It turned out brilliantly and thanks for the quality pictures! 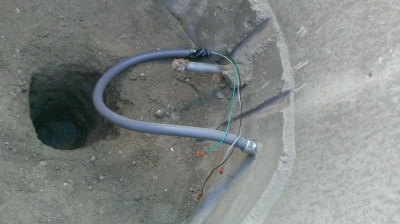 And now for the pay off. 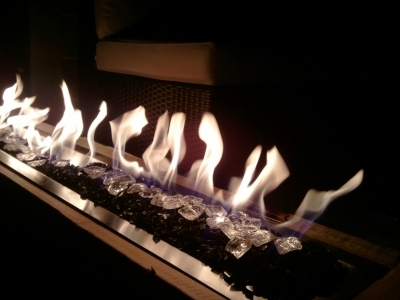 A warm, clean burning fire with a glass of wine - perfect.